Description : moboPic is a free service for creating wallpapers for cell/mobile phones. Just three easy steps and your wallpaper is ready. 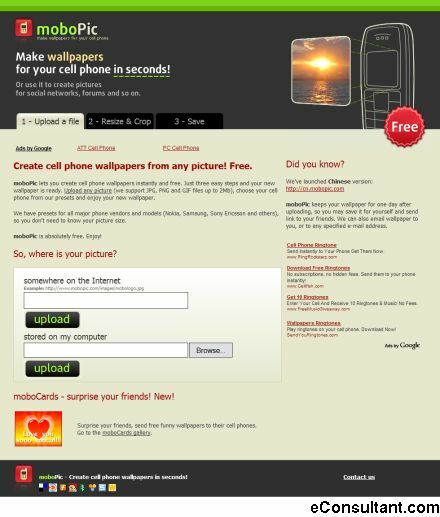 Upload any picture (we support JPG, PNG ang GIF files up to 2Mb), choose your phone model and enjoy new wallpaper.